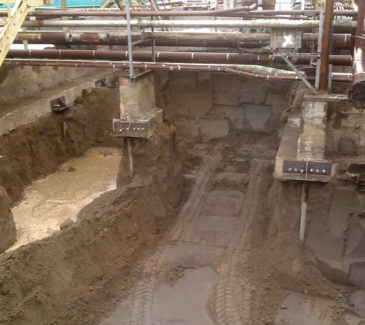 AEC was contracted by AMEC Foster Wheeler to perform soil remediation and tank decommissioning activities as part of a larger project for a confidential utility company. 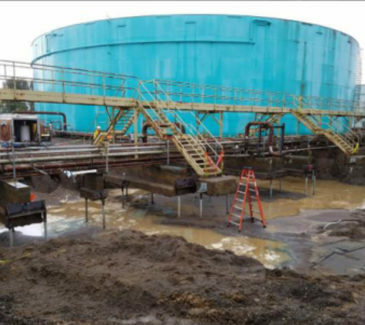 AEC’s scope included the removal and disposal of more than 3,600 cubic yards of petroleum contaminated soil (PCS) material from select areas of the 120-acre site. 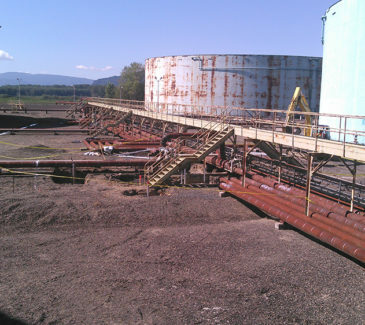 The contaminated soils were in an aboveground tank farm containing eight (8) tanks with a combined capacity of 63 million gallons. 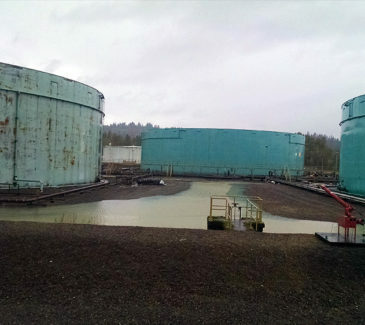 Contaminants of concern included petroleum hydrocarbons, and the crews removed all contaminated material from within the tank farm and backfilled with clean soil. 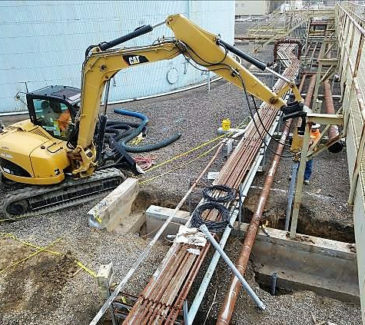 Additionally, In order to protect the in-service piping system, micro-piles were installed to support the concrete footings, enabling project personnel to access catwalks and work areas during the soil excavation activities.